This a very enjoyable, intense, tasty soup! I had it at La Cicala with my son in Aug2012, and thought I would do this. I looked up the internet and found this basque seafood soup recipe. I next prepared the vegetable base. I sautéed the leeks, onion and carrot for 5 minutes to soften, stirring frequently. I turned to high heat and added the prawn stock, and then added brandy (it might flame as the saucepan was very hot). I then added white wine & diced tomatoes, just 1 teaspoon of tumeric for colour. I then turned to low heat & let the soup simmered for 40minutes to bring out the vegetable base sweetness. Then I add chicken or vegetable stock and add sea salt to taste. Before serving I added the prawns and squids to poach them, and lastly the mussels for just about 3minutes. I then take out the prawns, squids, mussels and distributed them to individual bowls before topping them up with soup, and serve. Prepare prawn stock for the bisque – boil the heads and shells for 3 hours. blend the shells & liquids in a blender in batches OR pass the liquids through a sieve & push hard, and then dispose the boiled heads and shells. Prepare vegetable base for soup – sauté the leeks, onion and carrot for 5 minutes to soften, stirring frequently. turn to high heat and add the prawn stock, and then add brandy (it might flame as the saucepan is very hot). add white wine & diced tomatoes, & tumeric for colour. turn to low heat & let the soup simmer for 40minutes to bring out the vegetable base sweetness. add chicken or vegetable stock (if required) and add sea salt to taste. Before serving, add the prawns and squids to poach them, and lastly the shelled mussels for just 3minutes. 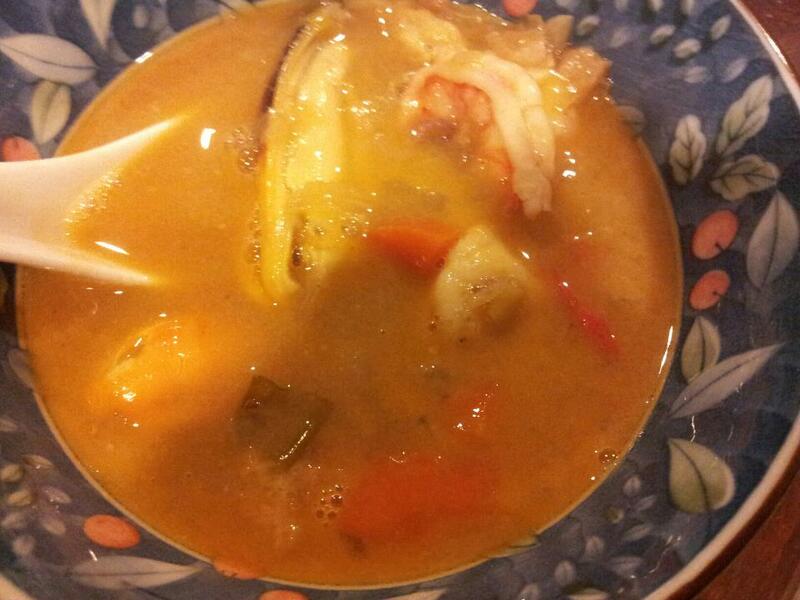 take out the prawns, squids, mussels and distribute to individual bowls before topping them up with soup. Serve. 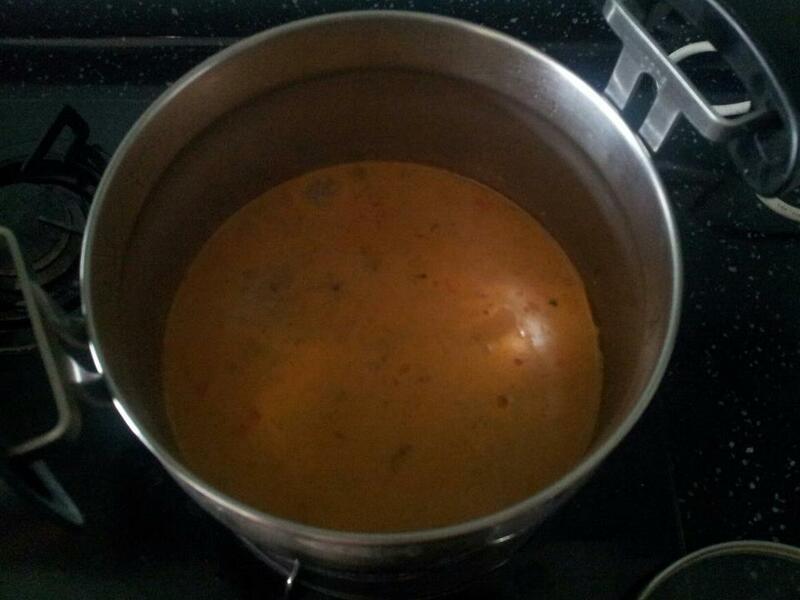 This entry was posted in Recipes and tagged basque, seafood, soup. Bookmark the permalink.